I like big things. I certainly like big pizzas. In this case, bigger is definitely better. Peperoni is best known for their XXL family sized pizzas which are simply 21-inch pizzas that can feed a group of 5 comfortably. We ordered half Frutti di Mare (prawns, clams, scallops, squid rings, fish & garlic) and half Hawaiana (pineapple, pork ham & bell peppers). 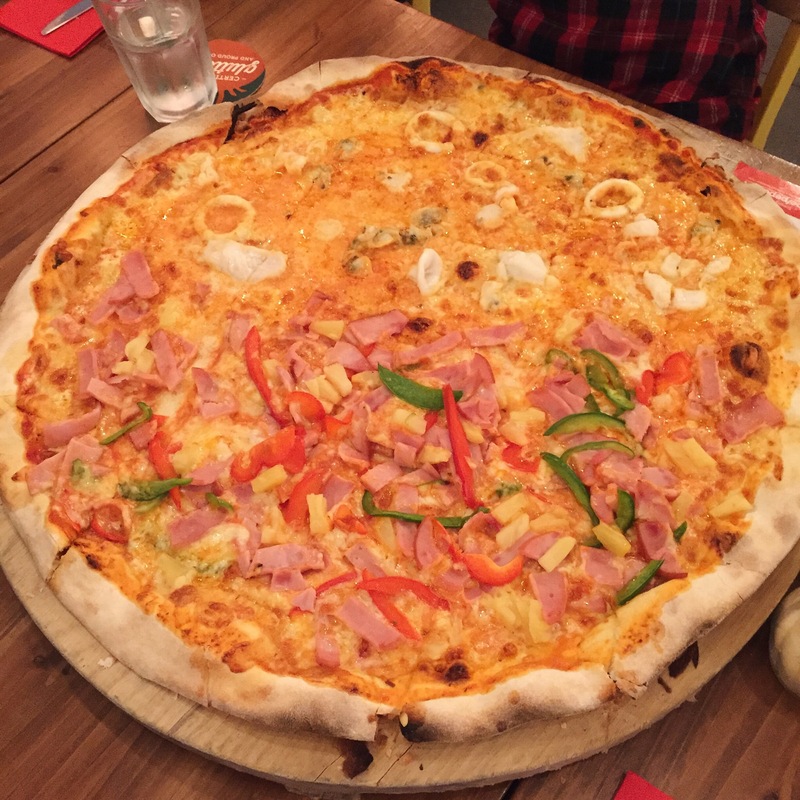 They were very generous with the toppings you can see from the picture – heaps of ham and lots of seafood. My personal favourite is the seafood pizza because it’s bursting with flavour because of the garlic and I love how the squid is perfectly cooked. Next, the bell peppers also went really well with the Hawaiian pizza and the pineapples gave it a tangy sweetness. The crust was soft in the inner part and crispy in its outer rim, just the way an Italian pizza should be. The best thing about Peperoni is that all prices are nett. No GST or service charge! Additionally, their service is excellent and the staff were all very friendly. At Peperoni, all we knead is love. And pizza – definitely pizza. I’d say that Peperoni Pizzeria is the place to go for a pizza party.